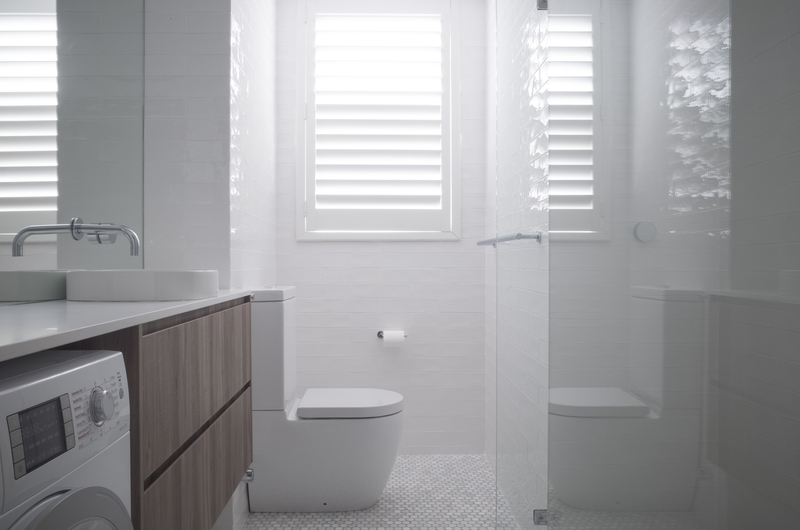 Stylish new bathroom recently completed in conjunction with JG Bathrooms at Kirribilli on Sydney’s North Shore. 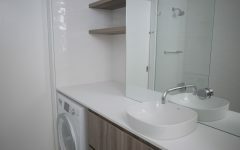 Vanity design and installation by CTI Kitchens & Designer Joinery. 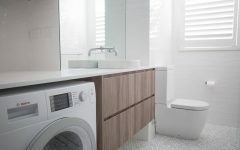 Materials include new age veneer doors in Navurban Pyrmont and the beautiful caesarstone top is completed in Pure White. Floating shelves are 38mm, also in Navurban Pyrmont. 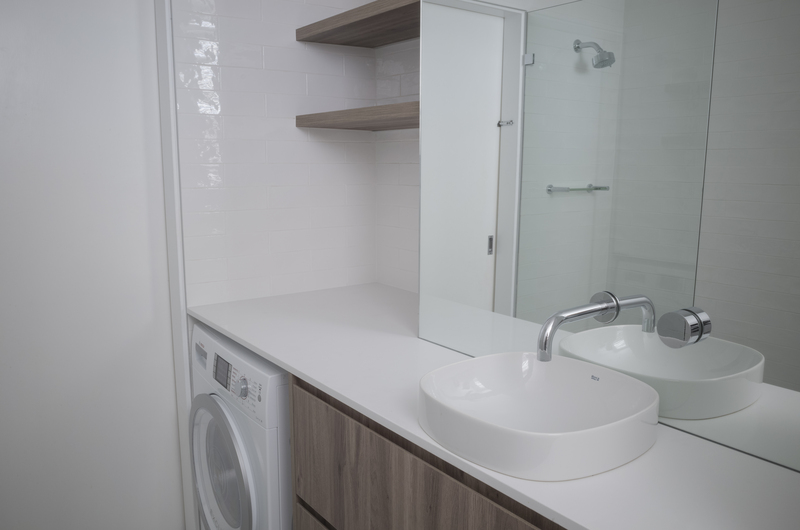 If you are thinking of upgrading your bathroom, we can visit you in your home to discuss your bathroom joinery requirements. Alternatively, complete our online form and we’ll contact you with a quote. 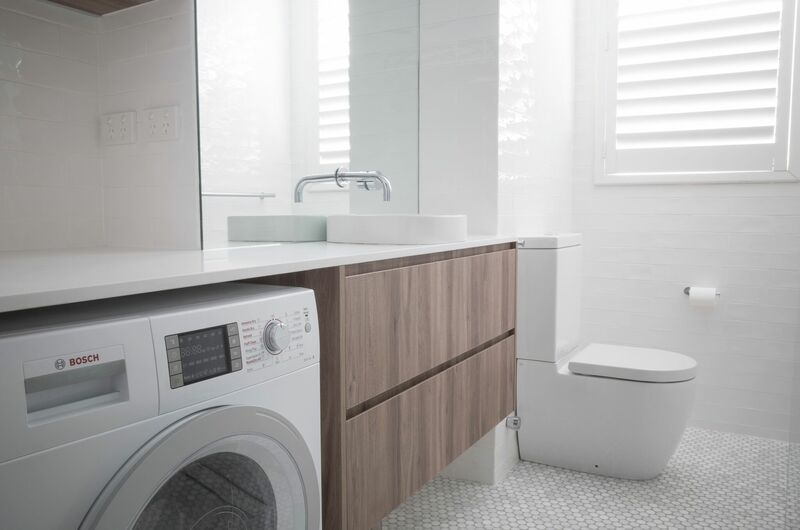 We are the North Shore & Northern Beaches vanity design and installation experts. ← Feature Article By Smartstone. CTI Kitchens & Designer Joinery.